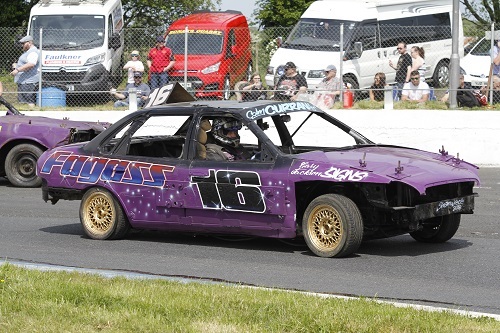 The 'National' Bangers as the name suggests is a full contact, crashing formula. This is the last stop on the line that leads to the car crusher for somebody's one-time pride and joy, which has generally failed the dreaded MOT test! Needless to say this formula is not only a contact formula but it is actively encouraged, the big cars like Ford Granadas, Volvos, Jaguars and now Supras & Lexus are the preferred weapons, and the action at times can be very heavy. Destroying the opposition is often the preferred objective rather than actually winning the race you've just entered. 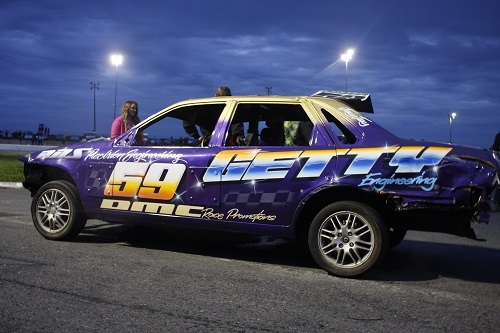 The National Bangers can race in different guises during the year, some events being for unlimited cc machines, some under 2 litre or Micro guise and a Big Van Banger meeting is held annually. 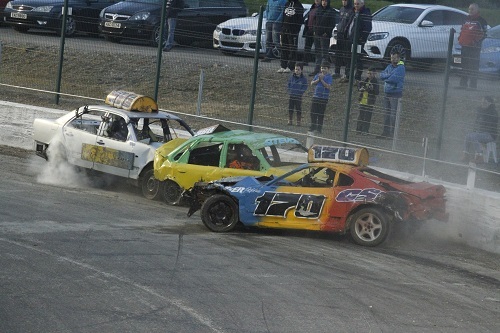 Certainly not a sport for the faint hearted - most meetings usually finish with a Destruction Derby where the last vehicle moving declared the winner! 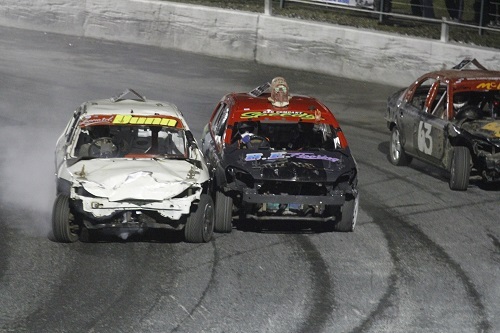 Shamwreck is the National Banger highlight of the season, this year held at Tullyroan Oval in June. 2/6/2019 Tullyroan Oval IRELAND'S BIGGEST BANGER BASH!! 26/10/2019 Tullyroan Oval GALA NIGHT - Huge Fireworks Spectacular! 29/12/2019 Tullyroan Oval FESTIVE FRENZY!